As you are wrapping up your projects for the year, we encourage you to invest in fine tuning your processes and workflow. And, we have several savings opportunities to assist you! See details below. 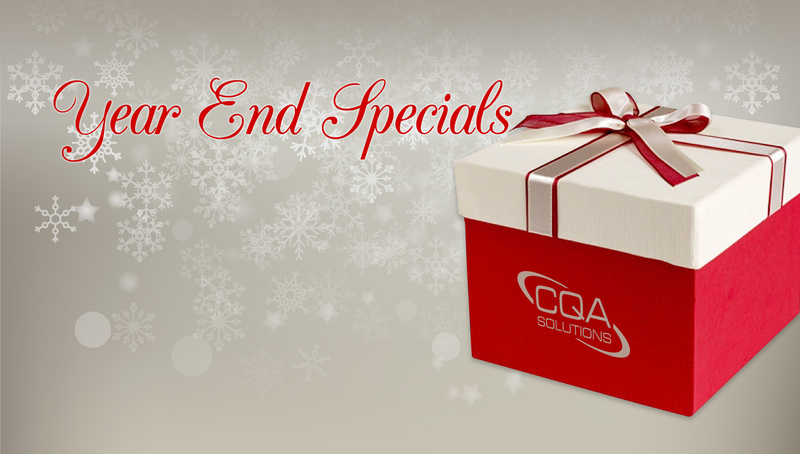 CQA Solutions wishes you a very Merry Christmas and a happy New Year! Take advantage of our lowest price of the year on training! 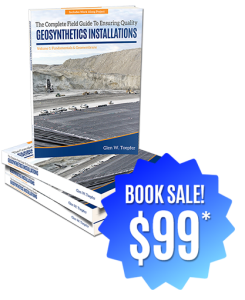 Through December 31, our Ensuring Quality Geosynthetics training is available at a special rate. 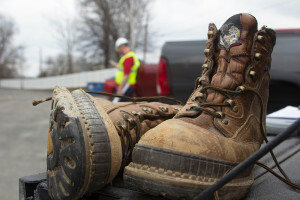 Quality projects begin with trained, competent workers. Before you begin that next liner system installation, let us train your staff on how to ensure quality CQA. We’ve got the solution and we will bring it right to your door! This class will introduce the student to practical applications for conducting thorough field CQA of geosynthetic liner systems. The focus will be on geomembrane components but will also touch on GCL’s, geonets, geotextiles, and geocomposites. Hurry – training must be booked by Dec. 31, 2015! Call Joanna at (419) 269-1800 for details. Sick and Tired of Documentation? Give Yourself the Gift of SuperTek! Are you sick and tired of losing nights and weekends because of documentation? There is life after certification reports! SuperTek is the real-time software solution for geosynthetics projects. A stickler for accuracy and thoroughness, SuperTek provides hundreds of real-time validations in the field and an up-to-the-minute punchlist. In field studies, SuperTek yielded impressive results – 18 percent savings in technician time and 97 percent savings in data compilation and review. And, SuperTek is now even better with our customized reporting! Tell us your custom reporting needs and we’ll design an automated SuperTek program specific to your project. For a limited time, get 3 additional months free when you purchase a 12-month prepaid subscription. Call Holly at (419) 269-1800 for details. Put SuperTek’s customized solution to work on your next project! *SPECIAL PRICE: Purchase the book at the special price of $99/ea when you buy 20 or more. We will break your purchase into unlimited shipments at no additional charge, to any address in the continental U.S.
Did you know that one simple change in how you secure a cable tie can greatly improve the quality of your geosynthetic installation? 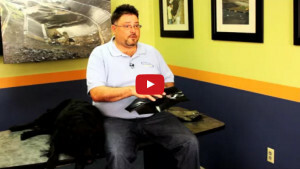 Were you aware that LLDPE can give you misleading results on a peel and shear test? Glen Toepfer explains these and more in a new series of instructional videos on his blog, Uncontained. Glen covers such topics as peel and shear testing, cable ties, extrusion welds and avoiding knee jerk reactions. You can view the first installation of Glen’s videos by visiting his blog, Uncontained. All too often, construction schedules are more amusing than accurate. They can be moving targets that demand constant attention. At best, they are unpredictable—at worst they can tax your entire staffing pool and leave you questioning why you ever chose this profession! CQA Solutions is here to help. Our outsourcing services offer you highly trained Project Managers and CQA/CQC Technicians on demand. Outsourcing allows you to cover last minute scheduling changes and take additional projects while making a profit. Reduce off-season costs and the Russian Roulette of generic temporary staffing services. Our professionals are here to help! Call Joanna at (419) 269-1800. We’ve got your back!